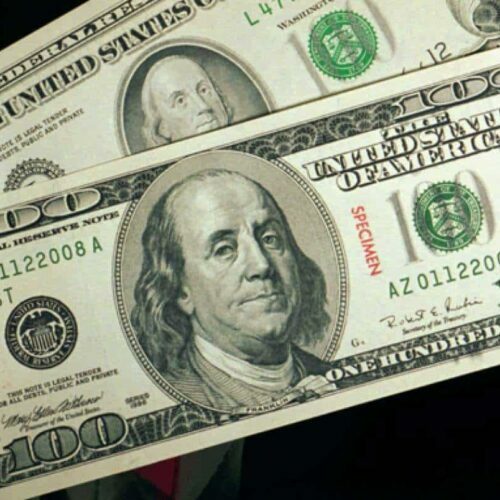 During April, millions of dollars flowed in from both the political right and left as party primary season raged and the 2018 midterm elections drew nearer. Gun rights advocates, environmentalists and most everyone across the political spectrum ponied up in hopes of influencing the outcome of federal elections across the country. $2.75 million: Cash on hand the John Bolton Super PAC had as of April 30 after spending more than $47,000 last month, according to its financial disclosure covering activity in April. Past donors to the super PAC, founded in 2013 by now-National Security Adviser John Bolton, have included Robert Mercer and Home Depot founder Bernard Marcus. The super PAC said in March it would suspend its political activities. 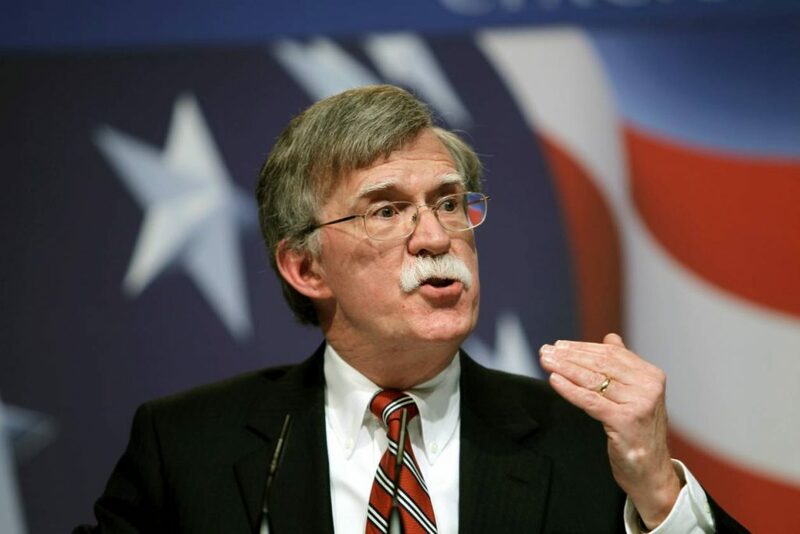 Bolton disassociated himself with his namesake groups prior to becoming President Donald Trump’s national security adviser on April 9, although the PAC has not dropped the “John Bolton” from its name. The Center for Public Integrity in March reported that the John Bolton Super PAC had paid $1.1 million for research to Cambridge Analytica, a political data firm found to have accessed the private information of tens of millions of Facebook users. $30,405: Contributions reportedly made in April to the John Bolton PAC — an entity separate from, but related to the John Bolton Super PAC. The PAC also reported receiving $1,403 on April 10 from renting the information of its supporters to a data firm. 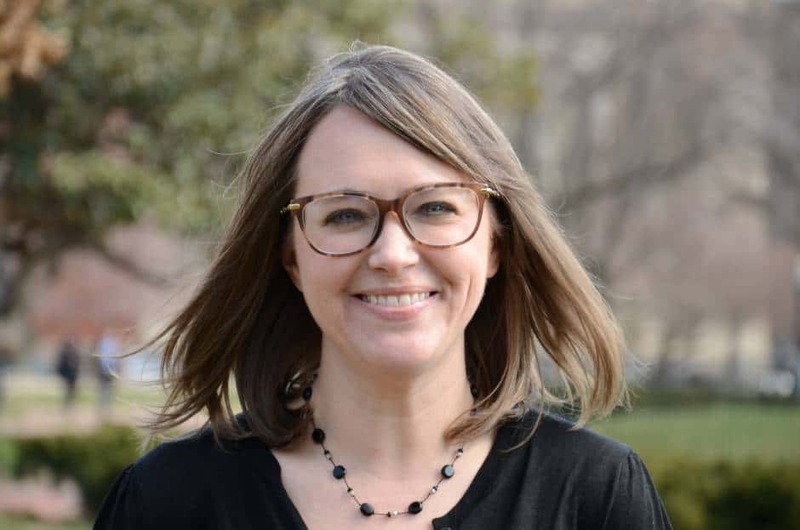 Reached Sunday night, John Bolton PAC director Kathy Flavin declined to explain on the record why the PAC listed receiving donations in April when it stated in March it was suspending political activities. She also declined to say why the two Bolton PACs have not removed “John Bolton” from their names. The John Bolton PAC reported $575,854 cash on hand as of April 30. 1-800-94 JENNY: Classic jingle in 1994 for the business of weight loss guru Jenny Craig, who donated $5,500 to pro-Trump committee Great America PAC this April. This isn’t the first time Craig threw her weight behind Trump: She co-hosted a minimum $25,000-a-ticket fundraiser for the candidate back in July 2016, and has also donated to the Committee to Defend the President. “With all political contributions I make, if they share my values and are working toward making America greater, I have an obligation to support them,” Craig told the Center for Public Integrity. Craig, who is retired, says she spends much of her time these days with her five children, 15 grandchildren and two great-grandchildren, and enjoys entertaining for her friends, playing poker and improving her golf game. $1.8 million: Amount that secretive Democratic super PAC Duty and Country raised in April from a handful of liberal megadonors, including $400,000 from hedge fund manager James H. Simons, $250,000 from Robert Hale of Granite Telecommunications and $100,000 from Chicago White Sox and Chicago Bulls owner Jerry Reinsdorf. The largest donation of $500,000 came from Greater New York Hospital Association Management Corporation, which has donated millions of dollars to another Democratic super PAC, Senate Majority PAC. Duty and Country, which formed in April, took advantage of loopholes in disclosure law to delay disclosing its funders until after West Virginia conducted its U.S. Senate primary on May 8. Duty and Country spent $1.4 million opposing Republicans U.S. Rep. Evan Jenkins, and state Attorney General Patrick Morrisey. Unfortunately for the PAC, Morrisey ultimately beat out Jenkins and embattled former coal executive Don Blankenship. This is not the first time this technique has been used; a Democratic group called Highway 31 used a similar strategy in the controversial Senate special election in Alabama last year. $1.4 million: Amount Senate Leadership Fund, a super PAC that boosts Republican candidates for the U.S. Senate, gave in April to Mountain Families PAC, which Republicans launched last month to oppose Blankenship. 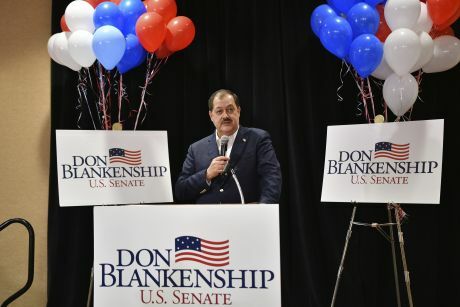 Blankenship placed third in the state’s GOP primary earlier this month and has not ruled out an independent or third-party bid in the general election. James Davis, owner and chairman of shoe and athletic wear company New Balance, was the largest donor in April to Senate Leadership Fund, giving $250,000. Senate Leadership Fund also spent $147 at Taylor Gourmet, one of former President Barack Obama’s favorite sandwich shops. 7 minutes: The amount of time between Mountain Families PAC filing its financial report for April with the FEC — and filing paperwork to terminate itself. $3 million: The amount of money Democratic super PAC Priorities USA Action raised in April from two liberal megadonors — George Soros and Donald Sussman. That represents more than 99 percent of the super PAC’s income last month. $400,000: Largest contribution BlackPAC — an upstart super PAC directing its efforts at prospective African-American voters — received in April. It came from Soros, the billionaire and Democratic megadonor. $12.99 million: Fundraising haul of the Republican National Committee in April, a record number for the month in a non-presidential election cycle year. $13.5 million: Amount Democratic billionaire Tom Steyer in April pumped into his super PAC, NextGen Climate Action Committee, bringing his total donations to the group to $18.9 million so far this year. The megadonor environmentalist is injecting tens of millions of dollars into political campaigns and calling for Trump to be impeached. 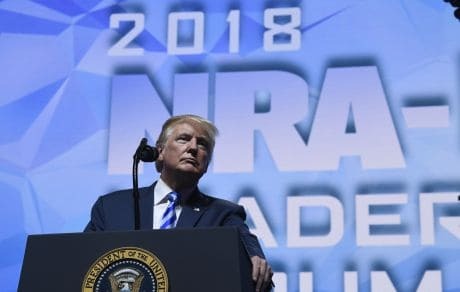 2.7: Factor by which the National Rifle Association of America Political Victory Fund increased its stash of cash since February’s Marjory Stoneman Douglas High School shooting in Parkland, Florida, which left 17 dead. In February, the group had $2.8 million in cash on hand. That had increased to $7.6 million in April, thanks to million-dollar infusions of cash in March and April. Four political candidates in Texas were among those receiving contributions from the NRA group in April. Ten people died last week in a shooting at Santa Fe High School outside Houston and 26 people died in November after a gunman massacred church-goers in Sutherland Springs, Texas. One Florida politician — Rep. Ted Yoho, a Republican who offered “thoughts and prayers” after the Parkland shooting but called for minimal gun-related legislation — also received a contribution in April. ½: The approximate rate at which donations to Giffords PAC, co-founded by Rep. Gabrielle Giffords, D-Ariz., herself a gunshot victim, decreased in the months following the Marjory Stoneman Douglas High School shooting. Donors sent $2.2 million in support to Giffords PAC in February, which decreased to $1.4 million in March, and now $654,000 in April, federal records indicate. 9-fold: Amount the Women Vote! super PAC increased spending in April over March. 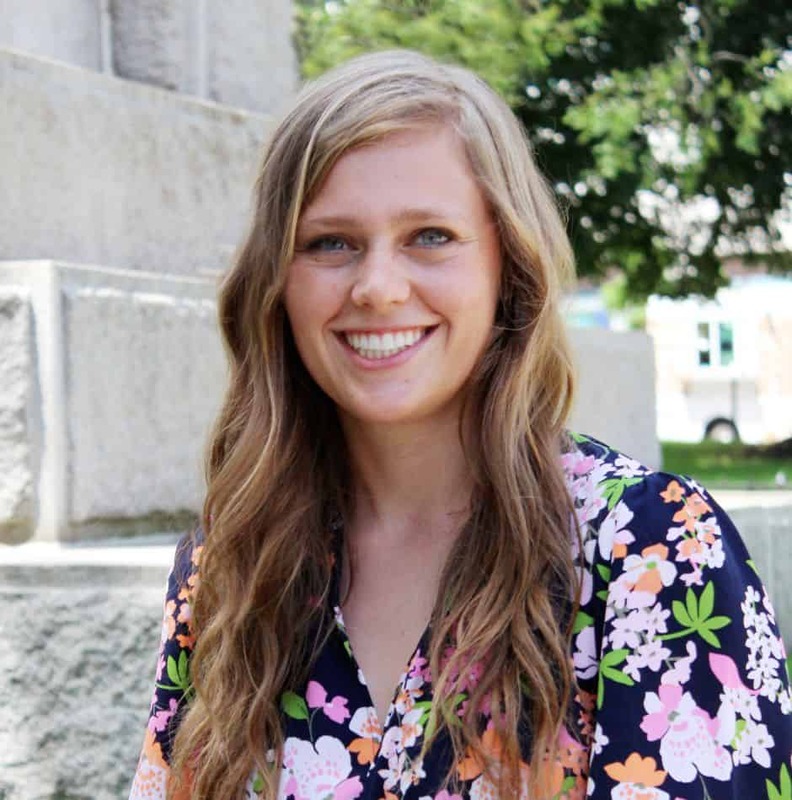 Emily’s List, the pro-abortion rights organization pushing for the election of Democratic women, operates Women Vote!, which spent $2.3 million in April — up from $265,000 in March. The amount Women Vote! collected also increased to $2 million in April compared to $429,000 in March. Women Vote! 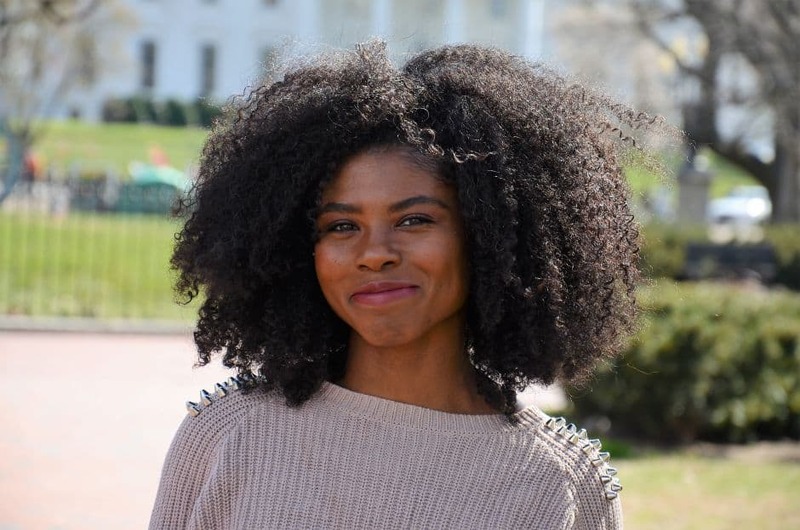 has joined with super PAC BlackPAC in supporting Stacey Abrams, who aims to become the first black female elected governor in the United States. Abrams is running for the Democratic nomination in Tuesday’s primary in Georgia. $1.9 million: What Rep. Beto O’Rourke, D-Texas, who is challenging Republican Sen. Ted Cruz, raised online in April, according to Politico, keeping his fundraising relatively constant this year. O’Rourke’s April haul adds to the more than $13.2 million he raised so far this cycle through the end of March. Cruz had $19.6 million in his campaign coffers as of March 31, according to his last campaign finance report. $13,184: Amount the Republican National Committee spent combined at the Trump National Hotel in Washington, D.C., and Trump National Doral in Florida in April for catering, venue rental and travel expenses. $33,926: The total amount of disclosed payments made to Trump properties in 2013 and 2014, the last midterm election cycle before Trump was elected president, according to the Center for Responsive Politics. That number ballooned to more than $2 million so far in 2017 and 2018. $3,700: FEC fine that the Committee to Defend the President paid the agency on April 3 for errors and omissions on its campaign finance reports. The committee paid its fine more than two weeks before it was due, which is rare: A 2017 Center for Public Integrity investigation found more than 160 political committees and similar groups together owe the government more than $1.3 million worth of unpaid FEC fines since 2000. 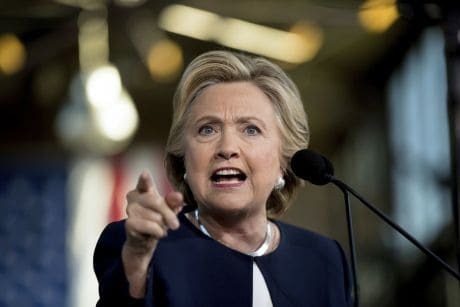 $400: The filing fee the pro-Trump super PAC Committee to Defend the President — formerly Stop Hillary PAC — paid to “sue FEC for covering up for Hillary Clinton.” Its complaint alleges “an unprecedented nationwide scheme to violate federal campaign finance law in which $84 million was effectively laundered over more than a year by the Hillary Victory Fund (HVF) through dozens of state political party committees to the Democratic National Committee (DNC) and, ultimately, to Hillary for America (HFA).” The Committee to Defend the President filed a complaint with the FEC in December and is upset that the FEC has not yet ruled on its complaint. The bipartisan FEC often takes months, if not years, to investigate and vote on complaints filed with the commission. $150,000: Price that employees from a state-owned Chinese bank, China Construction Bank, advertised for a Dallas fundraiser with Trump, the Wall Street Journal reported. Republican campaign officials alerted the Department of Justice; it is against the law for foreign nationals to make campaign donations. $7,500: The amount private prison company GEO Group spent backing the Pence brothers, Mike and Greg, in April. The Florida-based prison operator wrote a $5,000 check to Vice President Mike Pence’s leadership PAC, Great America Committee, and gave $2,500 to his older brother, Greg Pence, who is running for the Indiana 6th district congressional seat. GEO Group, which has heavily lobbied and made generous donations to the Trump administration, according to federal records, has enjoyed perks under the new leadership. Attorney General Jeff Sessions, for one, reversed a decision that would have phased out federal government use of private prisons. GEO Group also nabbed the administration’s first contract for an immigration detention center. $5,000: Donation from Mike Pence’s leadership PAC, Great America Committee, to Republican New Hampshire Gov. Chris Sununu, who is running for re-election. Pence headlined a March fundraiser for Sununu, according to New Hampshire Public Radio, and his leadership PAC has donated more than $40,000 to other Republican governors’ campaigns, Politico reported. 80 percent: Share of House Majority PAC’s $2.5 million in contributions during April that came from a single source. The Working for Working Americans super PAC gave $2 million in April to House Majority PAC, a super PAC that supports the election of Democrats to the House. 3: The number of five-figure or more donations received by Citizens for a Strong America, a group that has spent hundreds of thousands of dollars backing its favorite Republican candidates in hot races in Pennsylvania and Indiana. It received $250,000 from Peter May, president of investment management firm Trian Partners, $100,000 from Dan Webb of Winston & Strawn LLP and $10,000 from Kenneth Aldridge, chairman of Aldridge Electric. $5,000: The amount Christopher Ruddy — CEO of conservative news outlet Newsmax — contributed to pro-Russia Rep. Dana Rohrabacher, R-Calif., who is running for reelection in the state’s 48th district. Cook Political Report ranks the race a toss-up. Rohrabacher is up against a field of Democratic challengers, including Harley Rouda, Hans Keirstead and Omar Siddiqui, all of whom have raised at least $900,000 to Rohrabacher’s $1.5 million. Rouda, a businessman endorsed by the Democratic Congressional Campaign Committee, actually has collected $300,000 more than Rohrabacher, though a majority of that cash actually came from Rouda’s own wallet. $5,000: Financial support from Koch Industries PAC to Republican candidate and religious leader Bunni Pounds, who is running to replace the powerful Rep. Jeb Hensarling, R-Texas. Pounds will face off in the Texas runoff against Republican state Rep. Lance Gooden, who received about 5,000 more votes than Pounds in an initial Republican primary vote in March.